It's been a decade since Über talented Rn b singer and actress Aaliyah tragically died in a plane crash. Today would have marked Aaliyah's 32nd birthday. In circumstances when someone dies tragically and at a young age there is always a danger that we can become too caught up in thoughts of "what may have been" but this serves no useful purpose and only distracts from their achievements. Therefore, lets rejoice in the singer and focus on what made, and still till this day makes, Aaliyah such an enduring force in music. Aaliyah was a trailblazer who took risks and never followed the crowd. Instead the icon opted to trust her own sense of style and her own musical instincts to drive her career and as such created styles and sounds that inspired imitators the world over. So shrewd was her judgement that even today, over ten years later, songs like We need a resolution and One in a Million still sound ahead of the time. But we can't speak of Aaliyah without mentioning her unique 4 octave voice, that till this day hasn't had any competitors in terms of its smooth tone or it's versitility. Her voice could be subdued and cool (One in a million), suductive and enticing (It's whatever) or, what she did best, laced with attitude and confidence (You got nerve, If your girl only knew). It was Aaliyah's vocal abilities that carried Timbalands computerised beats to the level of genius by giving them warmth and soul; a feat he has yet to repeat with any other singer he has produced for. 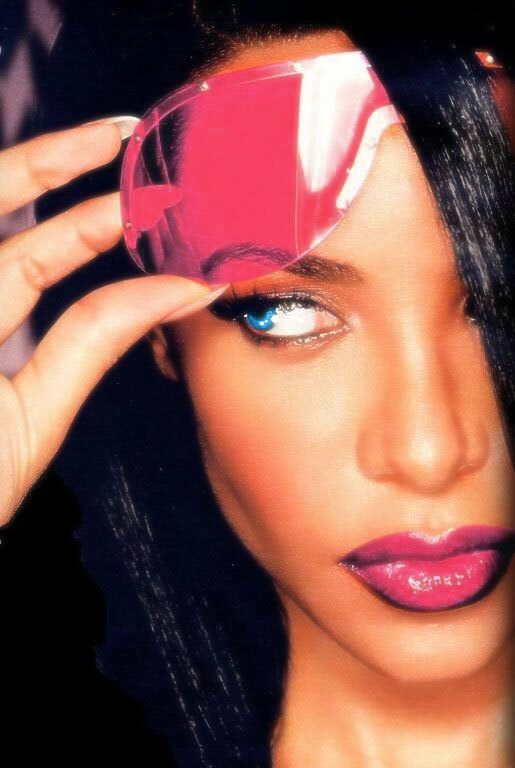 So Happy Birthday Aaliyah and, in the words of a certain popular swedish group, thank you for the music. One in a Million: This song was the one that woke me up to the singer. The subtle soft production, the silky vocals and the stuttering beat just blew my mind. Was like nothing I had heard before. Are you that Somebody: Another release that came from left field, and kept Aaliyah way a head of the crowd. The baby squeal, the Timbaland production and the backing vocals by Static still sound fresh today. Rock the Boat: The last video AAliyah would shoot before she passed away. This video showed how far the singer had come and matured from the shy teenager, who hid behind men's clothes and dark glasses. The video's beautiful, almost Heaven like scenes will always be laced with an undercurrent of sadness.